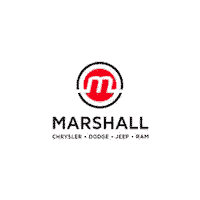 Marshall CDJR is located only 20 minutes south of Cincinnati, Oh! $5,172 off MSRP! Includes Lifetime Powertrain Protection, 3.6L V6 24V VVT, Blue Streak, 17" x 7" Steel Wheels, 1-Year SiriusXM Radio Service, 40/20/40 Split Bench Seat, AM/FM radio, Auto-dimming Rear-View mirror, Black Exterior Mirrors, Brake assist, Cloth 40/20/40 Bench Seat, Exterior Mirrors w/Heating Element, For More Info, Call 800-643-2112, Front Armrest w/3 Cupholders, Front Floor Mats, Fully automatic headlights, Manual Adjust Seats, Media Hub (USB, AUX), No Satellite Coverage HI/AK/PR/VI, Popular Equipment Group, Power & Remote Entry Group, Power Heated Fold-Away Mirrors, Power Locks, Power Windows w/Front 1-Touch Down, Premium Vinyl Door Trim w/Map Pocket, Quick Order Package 22B Tradesman, Radio: 3.0, Remote Keyless Entry w/All-Secure, SiriusXM Satellite Radio, Speed control, Tradesman Package. 2019 Ram 1500 Classic Tradesman 3.6L V6 24V VVT At these low upfront prices our vehicles sell fast! Call 859-824-3300 to confirm vehicle is still in stock! Marshall CDJR is located only 20 minutes south of Cincinnati, Oh! $6,531 off MSRP! Includes Lifetime Powertrain Protection, 4WD, 1-Year SiriusXM Radio Service, 5.0" Touchscreen Display, Audio Jack Input for Mobile Devices, Cloth 40/20/40 Bench Seat, For More Info, Call 800-643-2112, Fully automatic headlights, GPS Antenna Input, Heated door mirrors, Integrated Voice Command w/Bluetooth, LED Bed Lighting, Manual Adjust Seats, Media Hub (USB, AUX), Overhead Console, Popular Equipment Group, Power door mirrors, Quick Order Package 22B Tradesman, Radio: Uconnect 3 w/5" Display, Rear Folding Seat, Rear View Day/Night Mirror, Remote Keyless Entry w/All-Secure, Remote USB Port, SiriusXM Satellite Radio, Temperature & Compass Gauge, Tradesman Package, Wheel to Wheel Side Steps. 2019 Ram 1500 Classic Tradesman 3.6L V6 24V VVT At these low upfront prices our vehicles sell fast! Call 859-824-3300 to confirm vehicle is still in stock! Marshall CDJR is located only 20 minutes south of Cincinnati, Oh! $3,598 off MSRP! Includes Lifetime Powertrain Protection, 3rd row seats: split-bench, 4G LTE Wi-Fi Hot Spot, 8.4" Touchscreen Display, 8-Passenger Seating, Apple CarPlay, Blind Spot & Cross Path Detection, Blind spot sensor: Blind Spot Detection warning, Cold Weather Group, Front fog lights, GPS Navigation, Heated Front Seats, Heated Steering Wheel, KeySense, Leather Wrapped Steering Wheel, Panic alarm, Quick Order Package 27W, Reclining 3rd row seat, Remote keyless entry, Security system, Steering wheel mounted audio controls. 2019 Chrysler Pacifica Touring Plus 3.6L V6 24V VVT At these low upfront prices our vehicles sell fast! Call 859-824-3300 to confirm vehicle is still in stock! Marshall CDJR is located only 20 minutes south of Cincinnati, Oh! $7,383 off MSRP! Includes Lifetime Powertrain Protection, 1500 Classic Express, 4WD, 17" x 7" Aluminum Wheels, 1-Year SiriusXM Radio Service, 1-YR SiriusXM Guardian Trial, 4 Adjustable Cargo Tie-Down Hooks, 5.0" Touchscreen Display, 8.4" Touchscreen Display, Add Spray In Bedliner, Air Conditioning ATC w/Dual Zone Control, Apple CarPlay, Audio Jack Input for Mobile Devices, Bed Cargo Divider/Extender, Body Color Front Fascia, Body Color Grille, Body Color Rear Bumper w/Step Pads, Brake assist, Carpet Floor Covering, Cloth 40/20/40 Bench Seat, Delete Spray In Bedliner, Express Value Package, For More Info, Call 800-643-2112, Front Floor Mats, Front Fog Lamps, Fully automatic headlights, Google Android Auto, GPS Antenna Input, HD Radio, Humidity Sensor, Integrated Voice Command w/Bluetooth, LED Bed Lighting, Manual Adjust Seats, Media Hub (2 USB, AUX), Media Hub (USB, AUX), No Satellite Coverage w/AK/HI/PR/VI/GU, Overhead Console, Quick Order Package 22J Express, Radio: Uconnect 3 w/5" Display, Radio: Uconnect 4C w/8.4" Display, Ram 1500 Express, RamBox Cargo Management System, Rear Floor Mats, Rear Folding Seat, Rear View Day/Night Mirror, Remote Keyless Entry w/All-Secure, Remote USB Port, SiriusXM Satellite Radio, Temperature & Compass Gauge, USB Host Flip. 2019 Ram 1500 Classic Express 3.6L V6 24V VVT At these low upfront prices our vehicles sell fast! Call 859-824-3300 to confirm vehicle is still in stock!